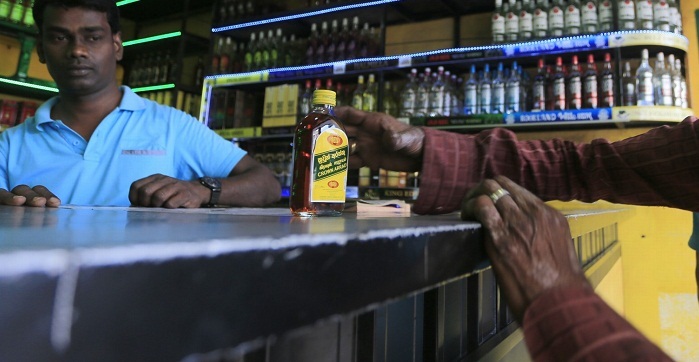 Sri Lanka rights activists Tuesday asked the island's top court to reject a presidential order that restored a decades-old ban on women buying or selling alcohol, calling the move discriminatory. The historic ban was overturned by Sri Lanka's finance minister earlier this month but was reinstated just days later by President Maithripala Sirisena after protests from conservative Buddhists. The law, dating back to 1979, bans women not just from buying alcohol but working in bars or factories where liquor is manufactured or sold. Women's activist Bhavani Fonseka appealed the ban in the Supreme Court, saying it violated women's rights to equal treatment, which are guaranteed under the Sri Lankan constitution. "We are arguing on the basis of a right to make a choice and equal opportunity of employment," Fonseka told AFP. The Centre for Policy Alternatives, a think tank, also petitioned the Supreme Court, saying the edict violated Sri Lanka's international obligations to uphold the civil and political rights of its citizens. The finance minister, Mangala Samaraweera, a liberal in the conservative Buddhist-dominated government, revoked the 1979 prohibition around women and alcohol in an effort to strike sexist laws from the statute books. Sirisena reinstated the ban without providing explanation, but the Buddhist clergy had protested against the revocation. The ban on women purchasing liquor likely came about in 1979 to appease conservative elements of the Buddhist hierarchy at the time, a finance ministry official told AFP. Liquor vendors in Sri Lanka are also forbidden from selling spirits to police or members of the armed forces in uniform.